IMPORTANT! You have been recoŗded ʍasturbatıng! I have Tgreenbe Sendai.mp4! 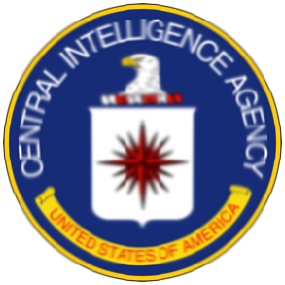 My name is Jesica Severson and I am a technical collection officer working for Central Intelligence Agency. It has come to my attention that your personal details including your email address (tgreenbe1.sendai@blogger.com) are listed in case #61758394. Case #61758394 is part of a large international operation set to arrest more than 2000 individuals suspected of paedophilia in 27 countries. This is my final warning tgreenbe1.sendai@blogger.com! Telling half a story, and leaving out extremely relevant context, is as good as lying. I have been criticizing CBC for protecting Israel and deceiving Canadians on Israel's behalf, but recently I have been sickened by so much more of CBC's international reporting. I cannot figure out whose interests they are serving, but it is not done in the interest of keeping Canadians properly informed. 1) Venezuela - Just because the US calls Maduro a dictator, does not mean it is true. Mauro was elected recently and is the democratically elected leader of Venezuela. Guido has no legitimate right to claim leadership - just because the US says so, and our disappointing PM Trudeau, says so, does not mean it is true. Yes, there is poverty in Venezuela, but CBC does not mention how much of that has been caused by US sanctions, the theft of state assets by the USA, and sabotage by the elites who want to take back control of the country. And it would not be unreasonable if CBC did not point out the racial aspect - Guido and his supporters are the "white men", and Maduro are the "black", and that is a major part of this confrontation. 2) Ukraine - why does CBC consistently fail to mention the US role in overthrowing the democratically-elected government of Yanakovich, and pretend that Russia is the main bad guy here. CBC never fails to describe the Eastern separatists, who had their votes stolen from them by the West, as "Russian-backed:". Our incompetent Foreign Minister Freedland is so horribly biassed on this issue, but that does not mean CNC must parrot her positions. 3) On Iran - The USA is making war on Iran - it is an unprovoked war, but sanctions are an act of war. Does CBC ever say this? Iran is the victim here, not the USA, not Israel, not Canada. A little bit of context would make that patently clear. 4) On US space force - the recent article does not discuss the agreements which are in place that says no country should militarize space. Trump is throwing out this agreement, and putting every human on the globe at risk. Certainly this agreement which he is breaking should AT LEAST be mentioned when discussing the announcement of the new US space force. SO CBC panders to the powers that be, whether Donald Trump or his lackey, Justin Trudeau, but in doing so, CBC is failing miserably in its responsibilities to inform Canadians on issues that concern them. Indeed even "life and death" issues like the aggressive moves in the USA to pull out of the nuclear and space agreements. When will CbC start working for us, the Canadians who pay their salaries, and stop deceiving and lying to us?